Once again I am on the road in search of exceptional European wines. It has been some time since my last visit to Portugal. Today l am joined by friend and fellow sommelier, Caterina Mota. We have spent the last few days traversing Portugal’s renown Douro Valley and sampling its rare treasures, Port wine. The Douro Valley, in the north of the country, has long been acclaimed as the leading producer of Vinho do Porto, Portuguese fortified wine. Douro boasts an excellent climate for wine production and more than 100 indigenous varietals can be found thriving throughout the region. Established in 1756, the Douro Valley is the third oldest protected wine region in the world. “Can you name numbers one and two?” Caterina quickly broke in. “Is it a bet?” I beamed with excitement. “And the first?” She playfully toyed. Today we are in the picturesque city of Porto. Known for its Port wine lodges, the riverfront city is a Mecca of fortified wines. Porto has been hosting a barage of tourists since the 1960s. The city boasts some 50 tasting lodges that dot the Gaia hillside. Ever popular names like Sandeman, Graham, Taylor’s, and Cockburn are a familiar site. 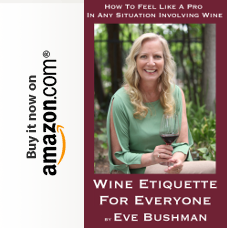 What distinguishes Port wines from other wines? All varieties of Port are rich and abundantly intense. Both their aromas and flavors persist while the alcohol content ranges from 19% and 22%. 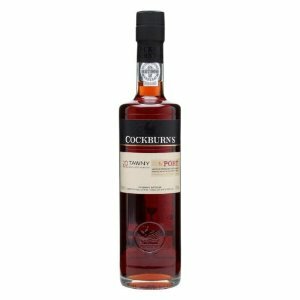 Our first selection, Cockburn’s 20 Year Old Tawney Port exemplifies all the characteristics one has come to expect from finely aged red wines. The wine has an unexpected, yet welcome freshness. The nose is filled with an array of aromas dominated by spice, nuts, and cedar. On the palate it is soft, silky, and smooth. The flavors of honey and ripe fruit come together nicely to create a rich and creamy texture. Cockburn’s is an exceptional buy at $55. “I often enjoy Cockburn’s with some cheese or red grapes,” Caterina’s eyes crinkled as she smiled. “This Port has no problem standing on its own as an aperitif,” I quickly added. 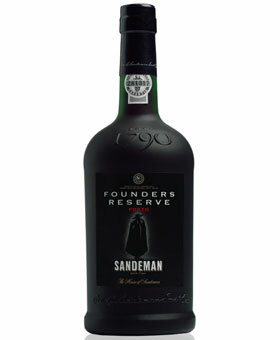 Our next selection, Sandeman Porto Founder’s Reserve Port Blend is indicative of the winery’s long 200 year reputation. On the eye, this port is a deep ruby red that is most inviting. This is an elegant Port that fills the nostrils with aromas of ripe fruit. On the palate one is immediately greeted by rich flavors of ripe plums and red berry fruit. Sandeman’s is sheer pleasure and knows how to charm with its long smooth finish. An exceptional buy at $25. “Perhaps its just part of our independent nature and the simple fact that we like things to stand on their own,” I playfully broke into laughter. Graham’s Six Grapes Rerve Porto is an exceptional find for a young Port wine. In coloring, our Graham’s is strated with hues of deep garnet. The nose awkens the senses to an abundance of cherries and plums. The sweet red fruit aromas are nicely balanced with just a subtle earthy wuality. On the palate, our young Port continues to rise to the occassion. 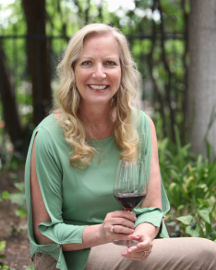 There is a delectable array of chocolate and cherry layers that add to the complexity and allure of this wine. The finish is sweet, lingering, and memorable. A very good buy at $25. “Salud,” I toasted her as I poured us each another glass. Our last selection, Fonseca Porto 10 Year Old Tawny Port is indeed an exceptional wine. The Fonseca family has been producing quality wines since 1822. Their wines are renown for their luxurious and seductive qualities. Fonseca wines have long had the reputation of arousing the senses. This Port holds true to the Fonseca reputation. On the eye, it is a deep ruby red. The nose is filled with rich ripe fruit and followed by an ever so slight hint of pepper and spice. On the palate, Fonseca Porto is luxurient with abundant notes of juicy plums balanced with rich tannins. There is also a trace of oak just before the finish. The climax is lingering with just the right amount of sweerness until reaching a final note of pepper. An exceptionally good buy at $35. “I often serve Fonseca when I am entertaining that very special guest,” Caterina smiled demurely. “Is that a fact?” I cocked a more than amused brow. Port is by far my favorite style of wine. I drink it as often as possible. 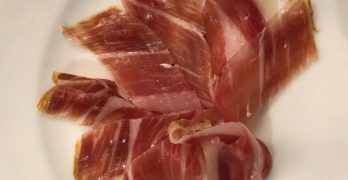 You reviewed some interesting selections that I look forward to trying.